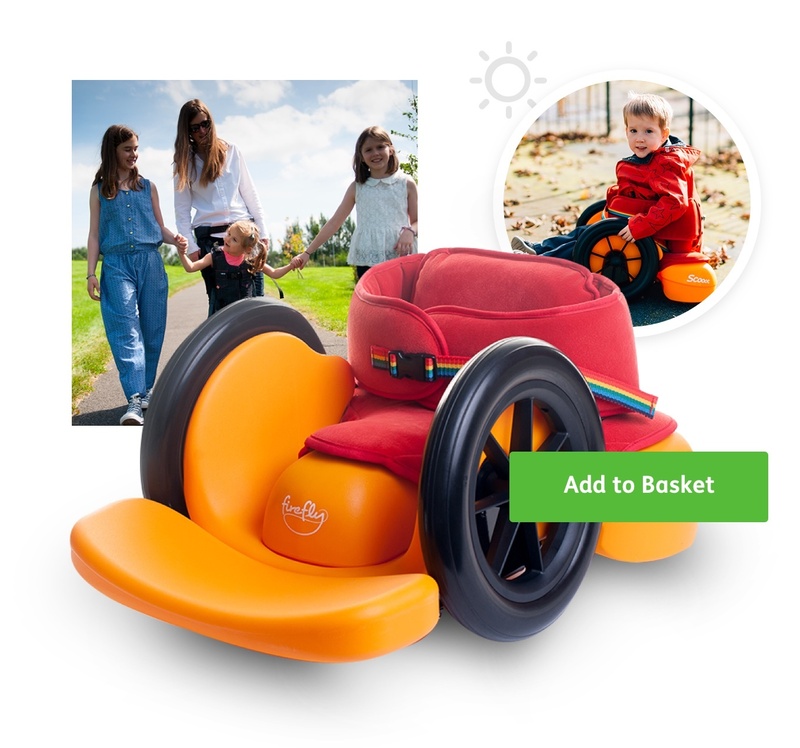 Firefly creates equipment to improve the posture and mobility of children with special needs, allowing them to participate more in family life. 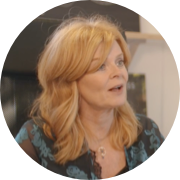 They asked Eyekiller to create a new scalable ecommerce website to serve the rapidly increasing global market. 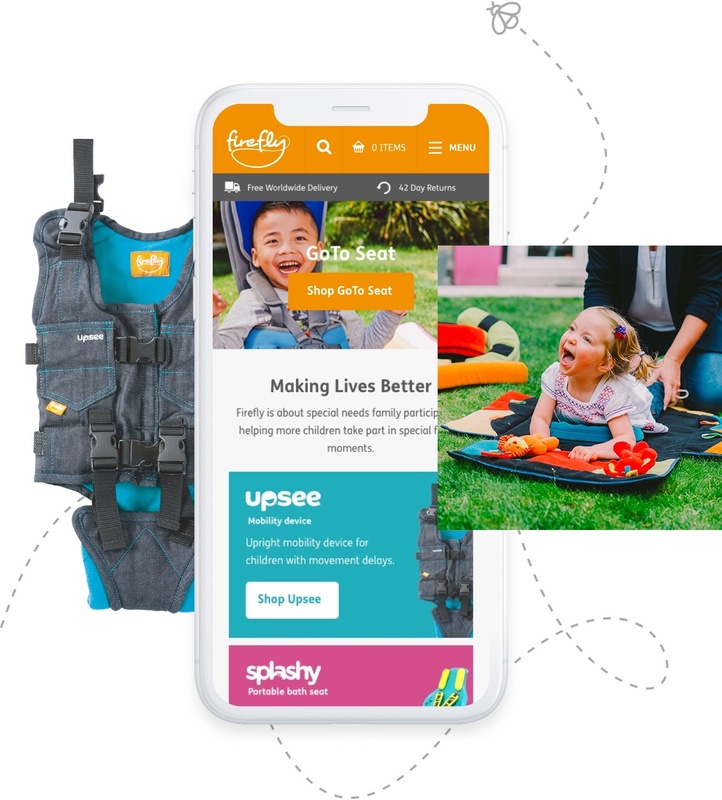 Firefly wanted a website that would be easy for search engines to find and that clearly communicated the benefits of their range. 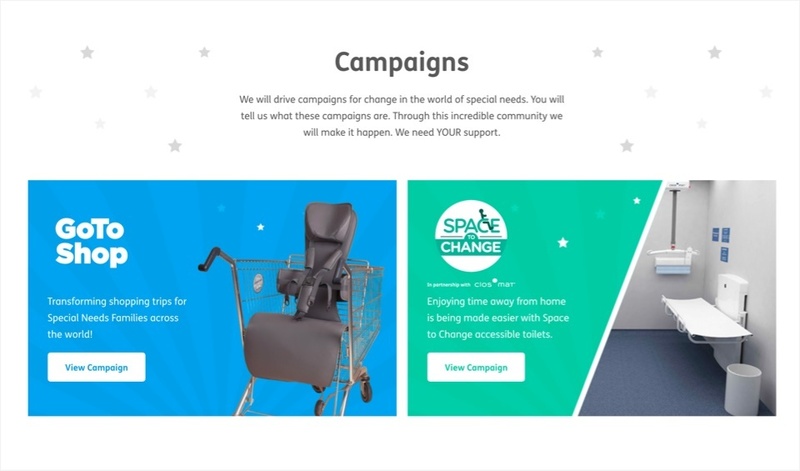 Alongside simplified navigation and improved presentation of their products, they wanted to create a space for customers to share their stories. 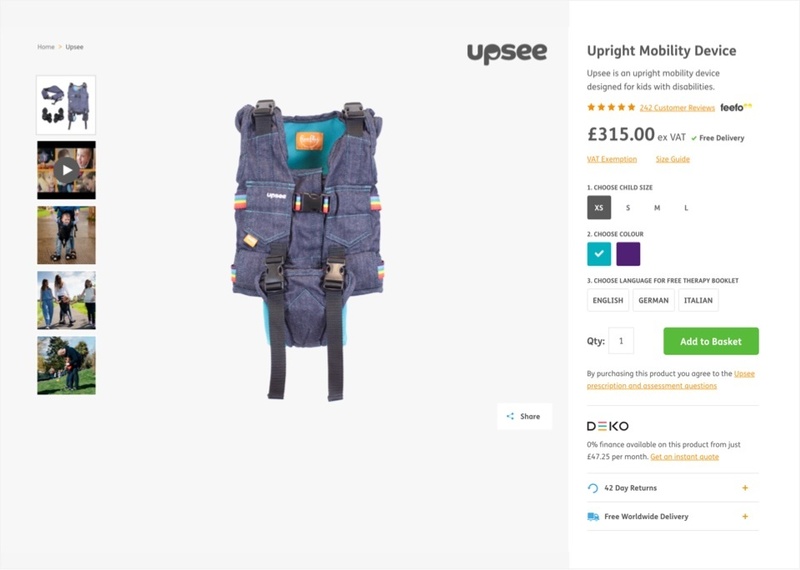 Eyekiller’s clear modular design worked beautifully across all devices. 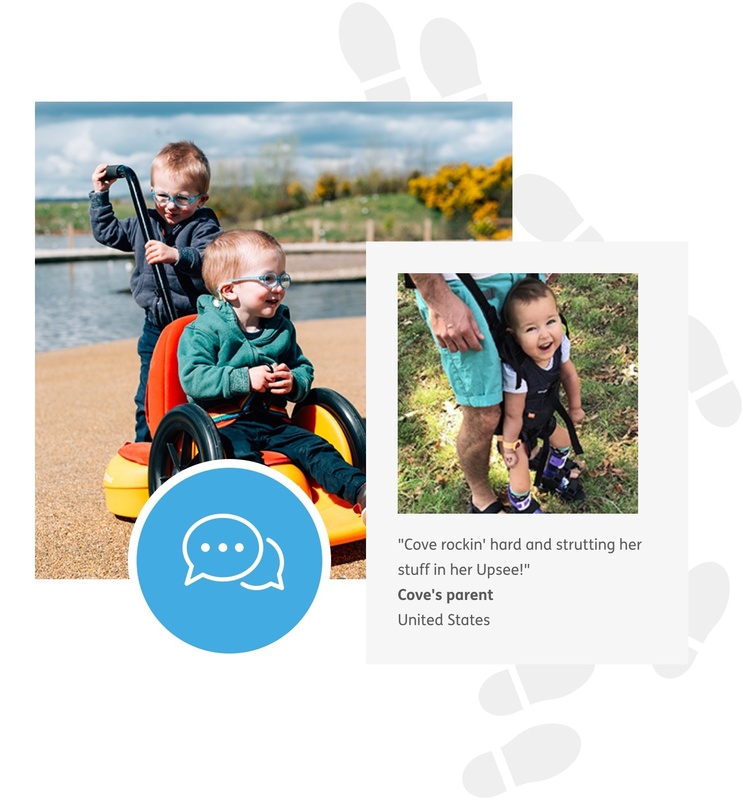 Our new engagement section allowed parents to upload photographs and stories about their children, and this function became highly influential in converting potential customers into shoppers. 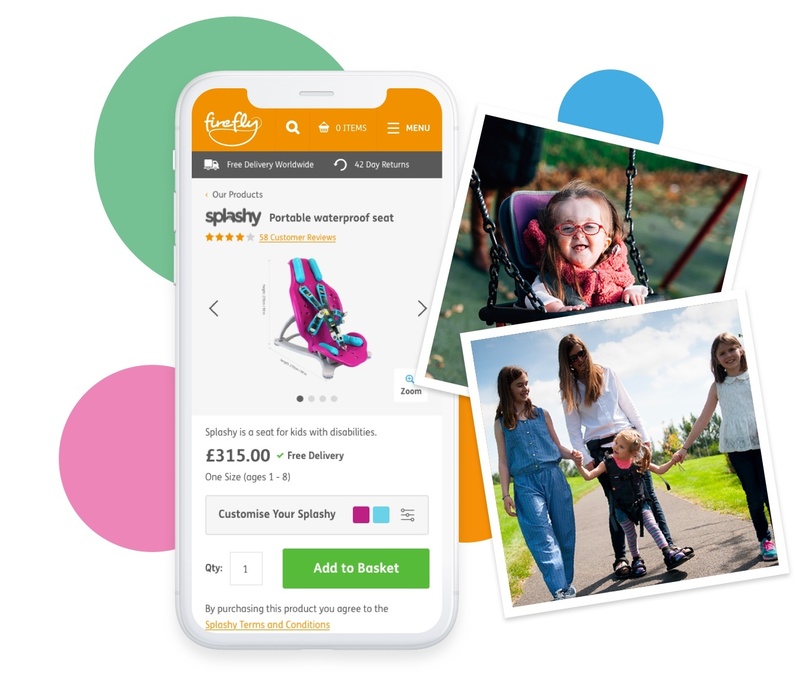 We showcased Firefly’s range with high-impact photography, video and 360˚ spin viewers. 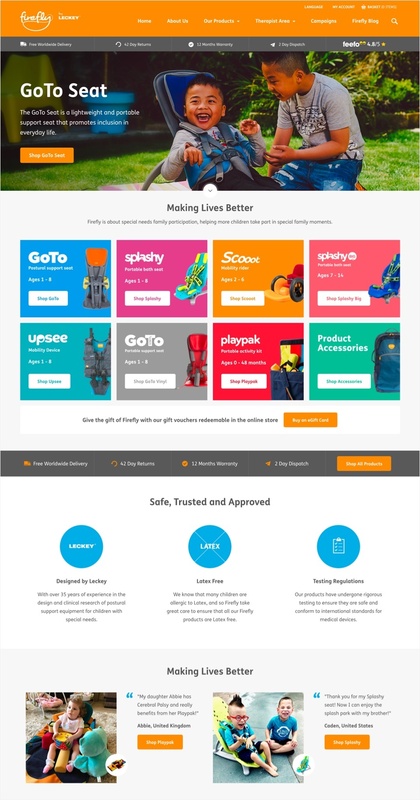 We built a top-flight checkout using the Magento platform. This solution provided ten territory-specific storefronts and seven language translations for the brand. 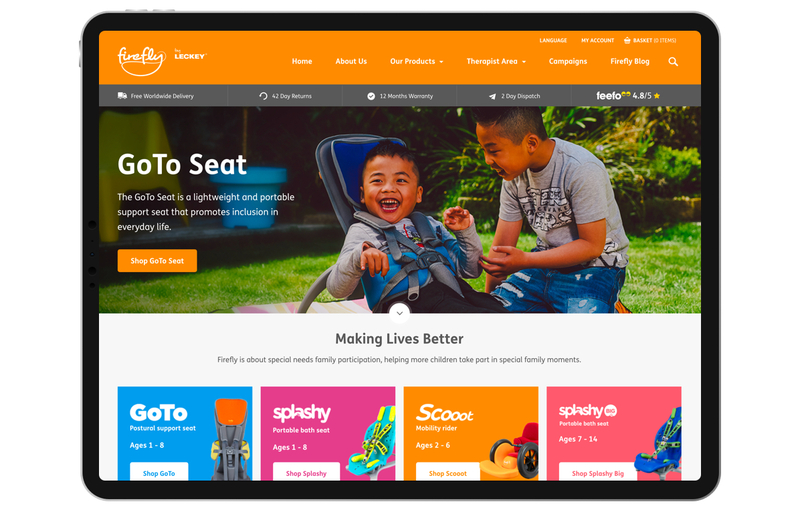 The new website launched Firefly’s latest innovation, the Splashy seat, and the product sold out in one week. Firefly’s website server infrastructure can now also sustain large amounts of traffic and is easy to use, from anywhere in the world.